At the time of South Africa’s first democratic election in 1994 it was clear that the structure of the economy had to change and that land ownership, employment opportunities and access to essential services had to match more closely the needs of the entire population. The Missing Piece: Solving South Africa’s Economic Puzzle explores various aspects of the South African economy over the past 20 years – what has worked and what has fallen short. It also looks into the next 20 years to see what needs to be done in order to put together the four pieces of our economy identified by Kevin Lings that will allow us to complete the puzzle and place South Africa on a higher potential growth path. This involves focusing on business development, redressing education policies, improving the use of technology, addressing our infrastructural backlog and developing a closer relationship with the rest of Africa. 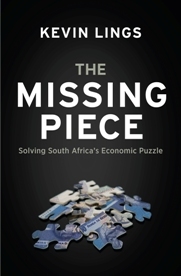 The practical policy proposals in The Missing Piece set it apart from other titles on the South African economy, while providing an accessible and comprehensive overview of the pertinent issues. 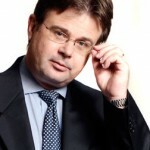 KEVIN LINGS has been the chief economist at STANLIB for the past 13 years and has analysed the South African economy for the past 25 years. As a core member of the STANLIB investment team, his economic research and assessments directly inform the company’s asset investment strategy. This is his first book.